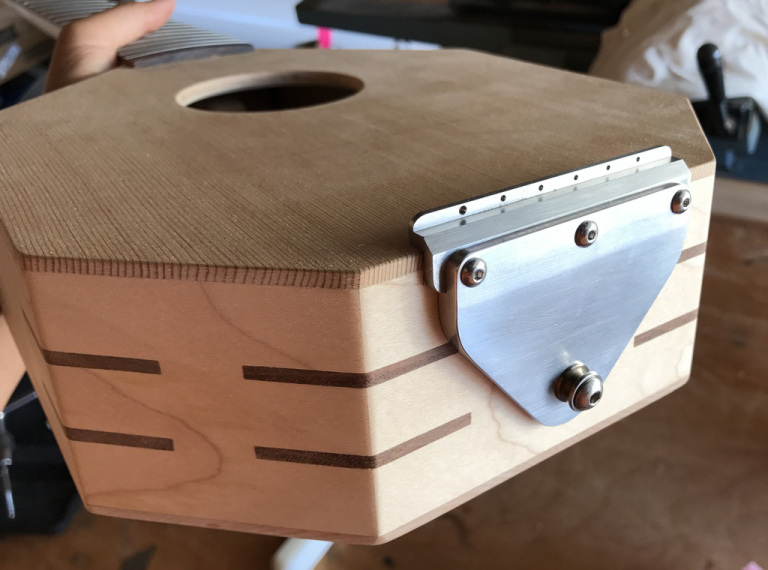 Beautifully Homemade Ban-Tar, a Banjo-Like Guitar | #DIY #instrument « Adafruit Industries – Makers, hackers, artists, designers and engineers! 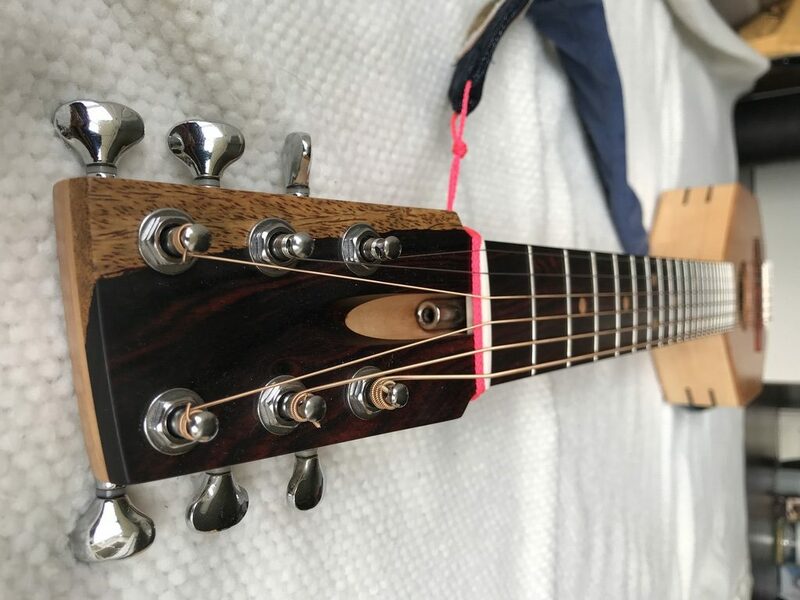 My first homemade guitar had three main objectives: learn how to make a fretboard, learn how to install a truss rod, finish as soon as possible. So this post is about that first goal. 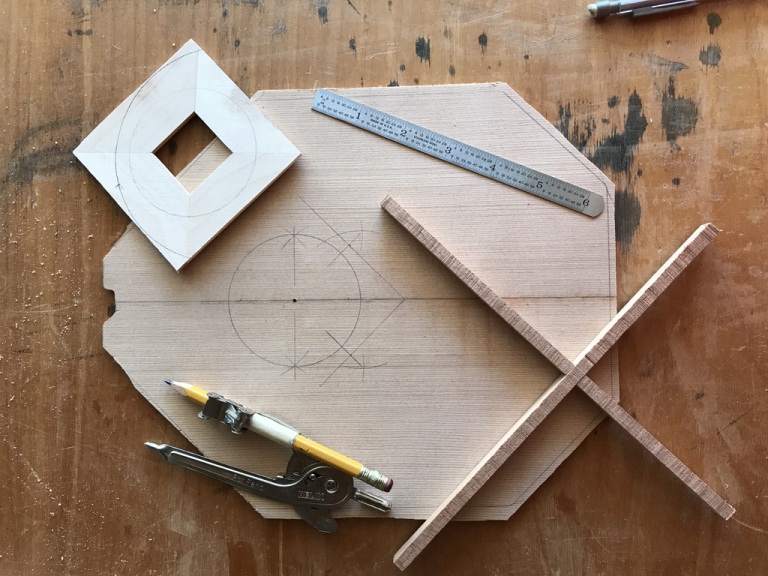 Previous posts were about making the fretboard and making the body. Next I worked on the soundboard, which used leftover material from the spruce soundboard I originally bought for my gourd ukulele. The X-brace is made from what I’m pretty sure is mahogany and the sound hole brace, probably unnecessary but gives it a nice finish, is made from maple.